Microsoft announced today the Madden NFL 17 and Halo Collection bundles for the Xbox One S, which will be released on August 23. The Madden NFL 17 Bundle will come with a download code for the game, seven Madden Ultimate Team Pro Packs, one month of EA Access, an Xbox Wireless Controller, and the 1TB hard drive model of the Xbox One S for $349 US or $449 Canadian. The Halo Collection Bundle will come with codes for both Halo 5: Guardians and Halo: The Master Chief Collection, a wireless controller, and either a 500GB or 1TB Xbox One S for $299 and $349 respectively. Both bundles are available for pre-order today. 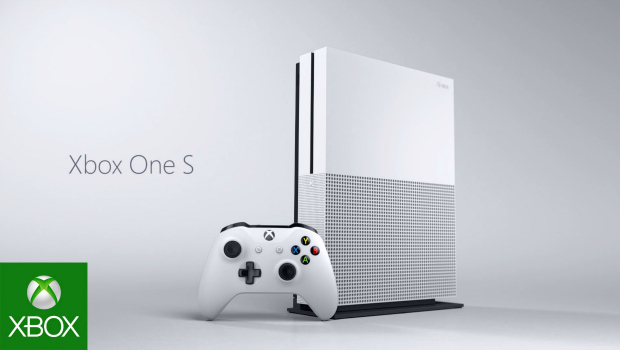 The Xbox One S, which was unveiled at E3 2016, is 40% smaller than the original Xbox One. It has a built-in power supply and supports 4K Ultra HD video with HDR. Check out our reviews for Halo 5: Guardians and Halo: The Master Chief Collection.